The problem with new months though, is that I look back and realize that I never (like ever) accomplish my goals. 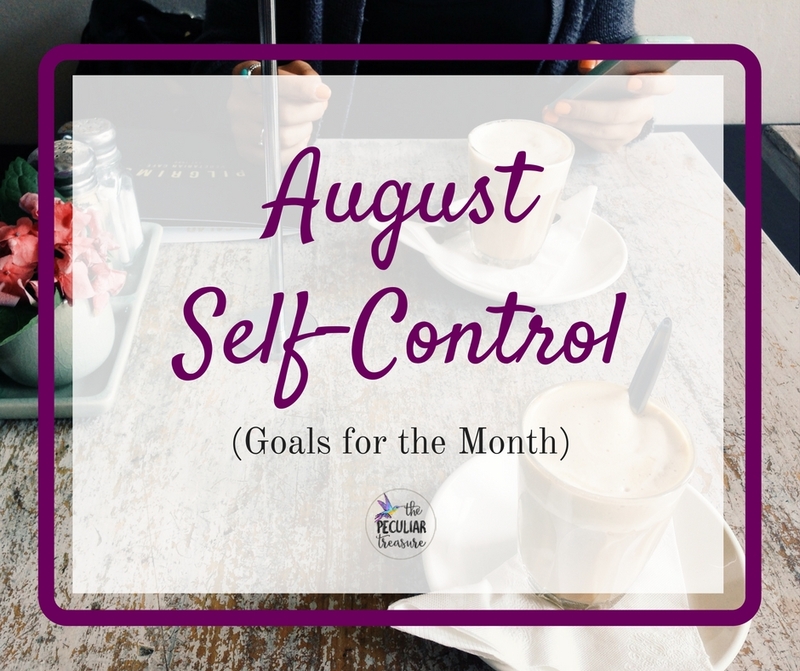 I have a major self-control problem, which is why I have titled this post "August Self-Control". It doesn't matter how many goals I set, or how important those goals are, if I never make myself practice self-control. Because if that's the case, I'm just going to keep on slacking in every, stinkin' area of life. Last month, the ONLY thing I accomplished on my July goal-list was going to the beach (which was already semi-planned). Everything else was an epic-fail. So this month, my only goal is to have self-control. - If I want to go out to eat, but we have no extra money, then I am not going out to eat. If I want to sit on the couch instead of taking baby E for a walk, I am going to take at least a short walk, because a little bit is better than nothing. If I want a donut, I will have ONE...not three. If I want to watch another episode of Blue Bloods, but I haven't read the Bible, then Blue Bloods is over for the night. The thing is, this still sounds "too hard", which is completely silly. The only reason it sounds hard, is because I don't want to do it. But I know it will be plenty worth it in the long run. So I'm going to work on being more controlled this month. 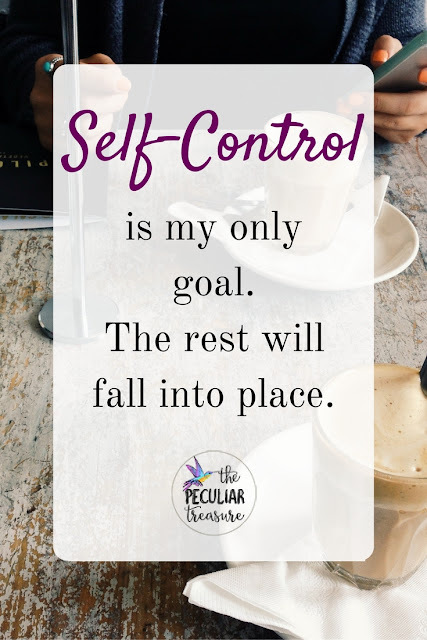 I will do my best to remember (and care) that self-control is one of the fruits of the Spirit, and also that just because I can do something, doesn't mean I should. Anyone else feeling like a lack of self-control is hindering your progress? Comment below. This is an awesome way to look at so many goals in life! Self control is a huge part of our lives that we don't think about. 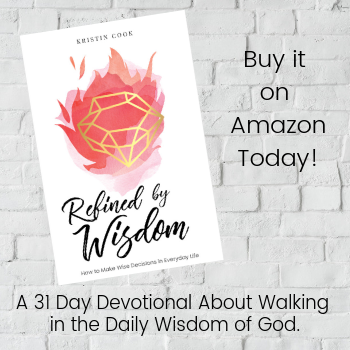 Thank you for sharing this eye-opening post! It'll help as I move forward with my goals of less dessert, more reading and more working out! It's all about self control and discipline. I'm so glad that is was a good reminder for you, Kiara! I hope that you are able to do well with your goals too! Self-control really affects so many areas of life when you start to think about focusing on it. The fruits of the Spirit should be an ever-growing part of our identity--worth focusing on. Thank you for that. It's true! God can give us strength! I think that's a great outlook to focus on having self control rather restricting yourself. It can be challenging to completely purge yourself of something but focusing more on control is a good approach. 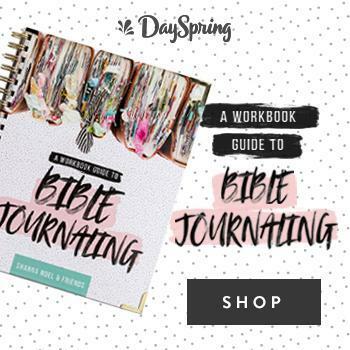 Love the new look of your site! Thank you, Cara :) I appreciate it! You're so right that if you get the self-control thing, other things will fall into place. It impacts so much of our lives, our productivity, etc. Wishing you a great August! Thank you, Marsha! You too! So true! I have a feeling you will reach your "goals" this month just because of how aware you are. Good for you! I love recommending books, so hopefully you like to read...The Compound Effect is great for showing us how our small day to day actions can lead to big results. And Made to Crave is amazing for any food issues. It has helped a lot of my clients. God made us to crave Him, not food. I think this is a great goal, and I've kind of been trying to practice this lately too. It's all about finding balance, and pushing yourself a little harder to get certain things accomplished. I want another cup of coffee, but I haven't had enough water yet, so I'll finish this water first, then have more coffee. Good luck! Great goal! This is one of the most talked about fruits in our home. Self-control can be hard, but once you start building that muscle it gets easier and easier. :) But the work never stops. I also am having trouble with self-control and have been struggling with it for the last few months. This is a great goal to have and it is hard because no one wants to do it. Best of luck to you this month! I can't wait for fall to come, either! I already started ordering sweaters and leggings! 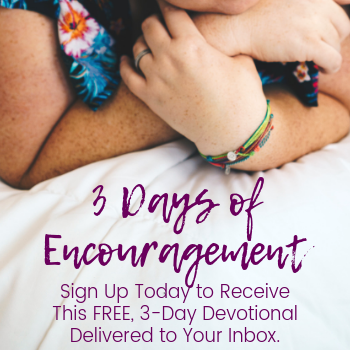 Self-control can be hard, but I love the way you phrased our all your mini goals that fall underneath it! You can do it!